The gifting season is all about sharing and giving. Hence, SkyWorld Development Group has initiated its “Christmas Goodness” by spreading love for two meaningful causes. 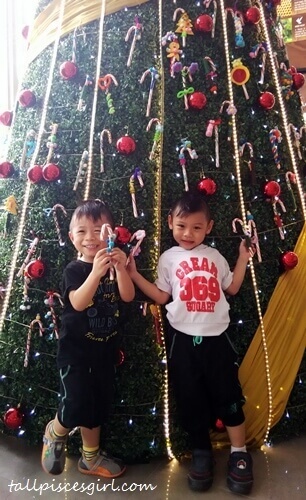 The first cause, Christmas Candy Cane Charity Drive was started by SkyWorld to raise funds for the kids at Rumah Charis, OUG. The candies that were decorated by the kids were hung on the huge Christmas tree @ SkyLuxe On The Park property gallery. Visitors are encouraged to pick these candies and in return, donate any amount they want for charity. This charity drive will be ongoing until 8 January 2017. It’s still not too late! 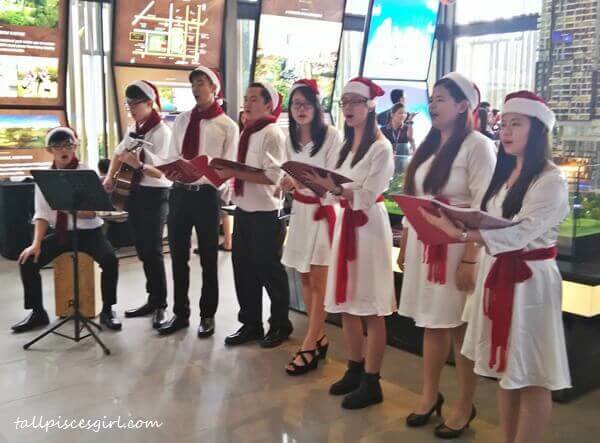 The second “Christmas Goodness” by SkyWorld was organizing “Seoul-ful Christmas” celebration for their valued purchasers and public at SkyLuxe On The Park @ Bukit Jalil. There were lots of entertaining and fun activities throughout the day for both adults and kids. 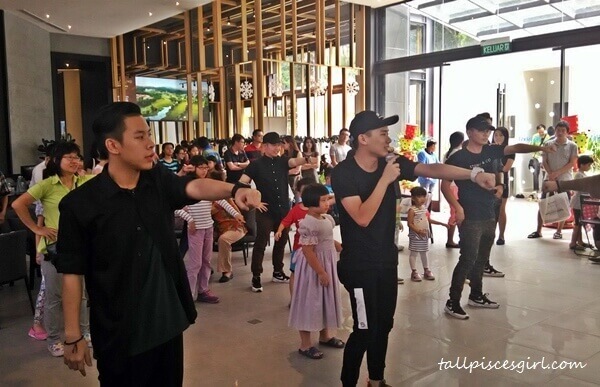 For instance, there was Children K-Pop dance along session so the kids can have fun learning how to dance K-Pop style. 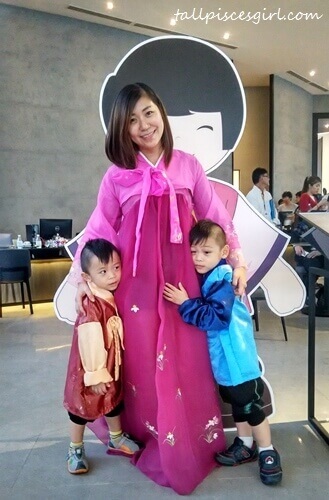 The adults can also bring their kids along to experience wearing the traditional Hanbok costume and pose with Korean “Winter Sonata” style backdrop. This was such a great experience! 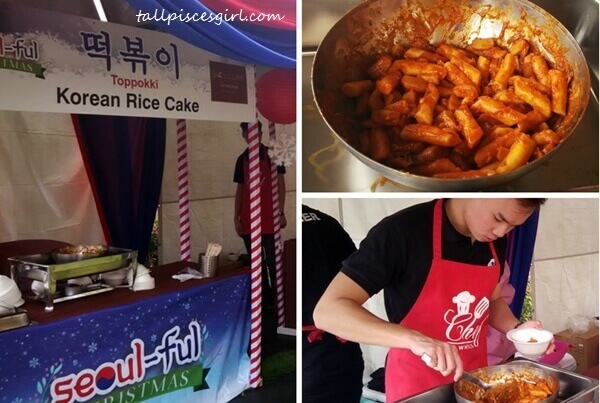 Next, tummy making sound already, faster grab some yummy Korean Street Food from the booths. Malaysians love food. So when there’s food, there’s people! Doesn’t matter if you’re a Korean food lover or someone who haven’t tasted Korean food before, it’s a great chance to try Kimbap (Korean sushi), Topokki (Korean Rice Cake), Bingsu (Shaved ice), Japchae (Fried glass noodle), and Kimchi Stew in a go! 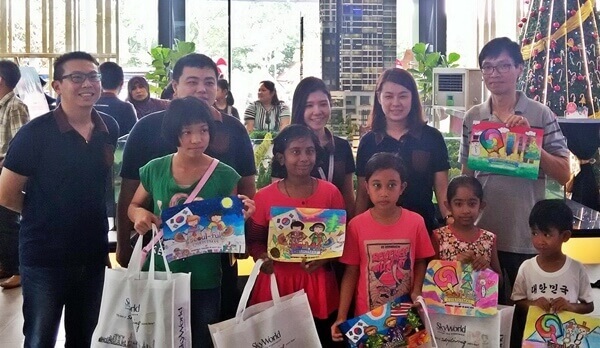 SkyWorld also took the opportunity to announce the winners for the Children Coloring Contest held last week. Great job, kids! 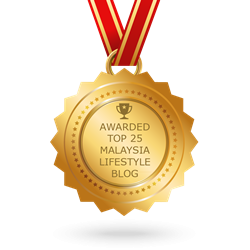 Aside from prizes, their artworks will also be displayed at SkyWorld Property Gallery @ Bukit Jalil for a week. Since it is Christmas season, how can we miss Christmas Caroling? The soothing, angelic voices really brings out the Christmas vibes. 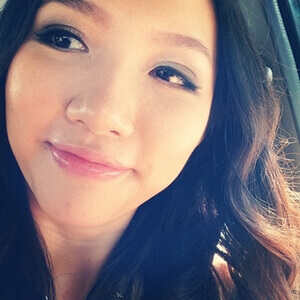 All women love to look pretty. That’s why when the Korean makeup demonstration by Artistique was ongoing, all the girls swarmed to watch to learn a thing or two about Korean makeup. 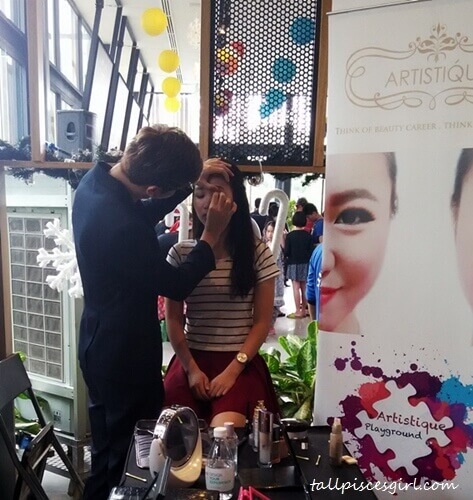 Besides this, visitors also get to experience Korean makeup done by professional makeup artists. 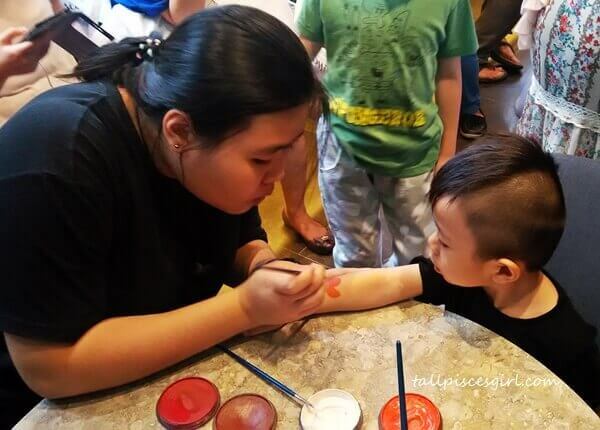 To keep the kids occupied while parents head to watch cooking demonstration or tour around SkyLuxe On The Park show unit, Arts & Crafts Corner is the perfect place for them! 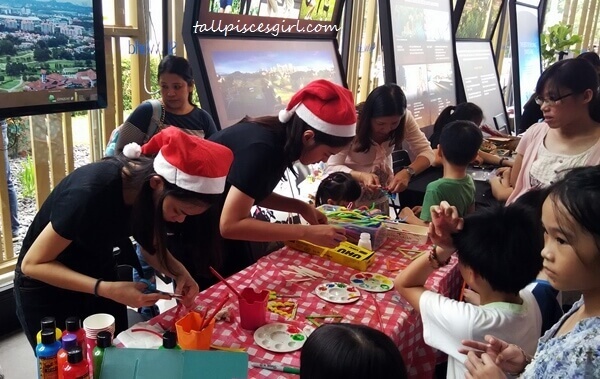 Kids get to unleash their creativity here and make some Christmas DIY crafts to bring home. Look at how focused this kid is! And finally, one of the most anticipated programme of the day followed shortly and attracted quite a number of participants. This spicy instant noodle is well known for its fiery hot sensation that can bring you to tears! Even Clumsy Boy couldn’t take it. Can you imagine how spicy it was? 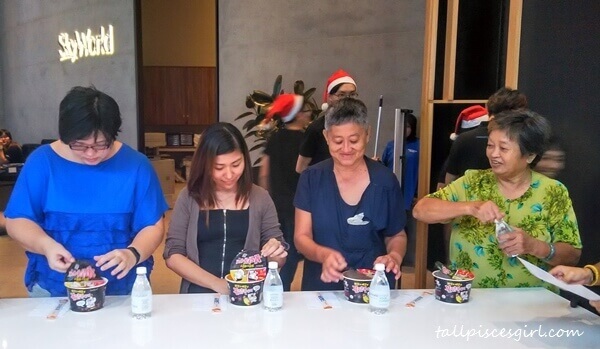 The challenge was won by a gentleman because he not only endured the spiciness, he also slurped down the noodles at the fastest speed! Daebak!! 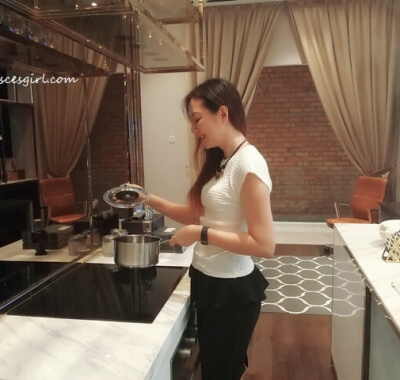 After eating, it’s time to learn how to cook some Korean food. 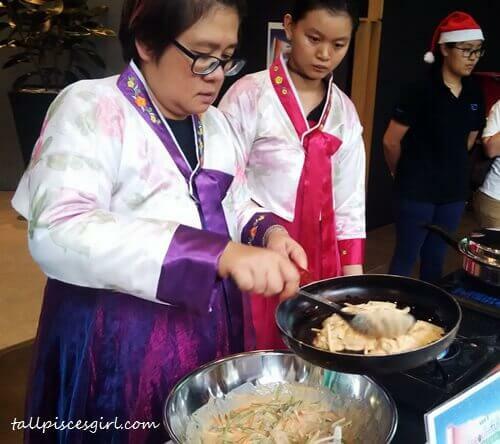 The chef of the day taught the visitors how to cook Dalgakbi and Pajeon (Korean Pancake). The session was an interesting one. After the cooking demonstration is done, the food was shared to all the visitors. Thanks to the tastiness, they were gone in no time! A lot of visitors took the chance during “Seoul-ful Christmas” to visit SkyLuxe On The Park Show Unit. 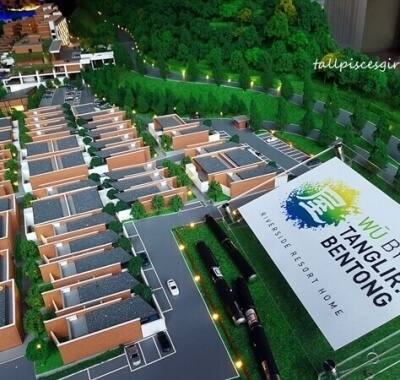 The properties from this project has freehold title and is surrounded by lush greenery from Bukit Jalil Recreational Park and Bukit Jalil Golf & Country Club. 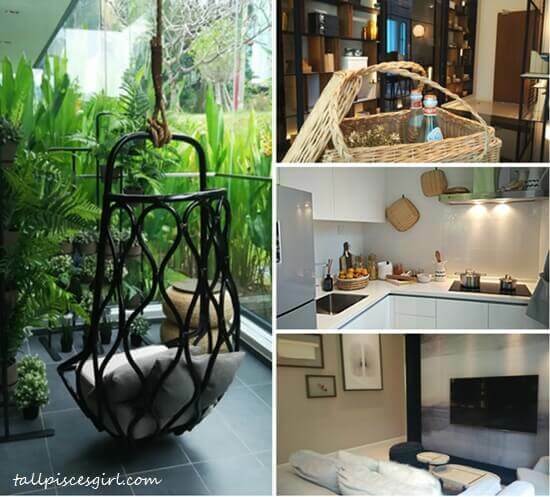 There are a total of 477 units with built-up ranging from 661 sq ft to 1,224 sq ft. Price starts from RM650,000 onwards. In order to show appreciation to the purchasers who bought a property during that day, they get to ‘Spin The Wheel Of Fortune’ and receive extra rebates. What an awesome gesture! 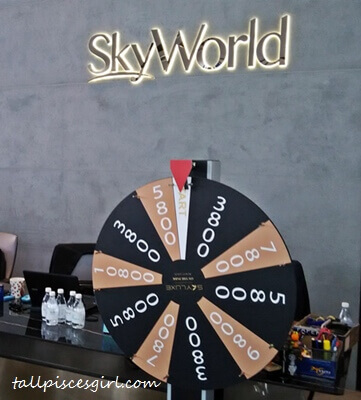 For more information on SkyLuxe On The Park by SkyWorld, kindly visit https://www.skyluxe.com.my or call 016- 211 9831 / 016- 211 9892.